Medication: To save you heart ache, do declare your prescription medication when you complete the immigration forms, and, if like me you’re a diabetic, they provide metal sharps boxes in all the public toilet facilities to dispose of your needles, testing strips and the ilk. 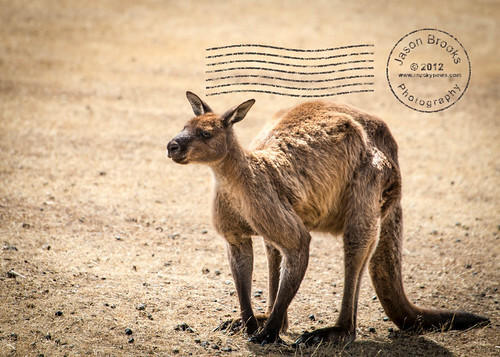 For the most amount of coverage, it seems that Telstra is the biggest mobile operator out there and therefore had the greatest coverage… If you’re planning on visiting Kangaroo Island, (at the time I was there) Telstra was the only mobile provider on the island. I found that out the hard way when our car didn’t arrive to collect us from the airport and we had no way of communicating with the outside world! Thanks to Peter’s Island Transfers we would have been stuck without a paddle! Another advantage of Telstra is that they have 4G support in Sydney and happily registered speeds of 33mbps both up and downstream using (www.speedtest.net) mobile app. The average cost was $30Aus for a PAYG sim that included approx 500mb of data and 300 minutes of call time. You will need your passport or some form of photo identification and an address whilst staying in Australia, i.e. a hotel or hostel to register your sim. Uluru, although in the middle of the desert had excellent coverages from most mobile phone suppliers, so if you are planning on visiting Ayre’s Rock, then you’re covered. The desert is hot. Ok, that’s an obvious statement, but expect temperatures of 42 degrees in the shade and higher! You must drink a minimum of 1Litre of water every hour. The humidity is very close to 0% and as such you don’t sweat as it simply evaporates. However with each breath you take, you are effectively drying yourself out from the inside out, so the moment you feel thirsty, it’s too late you are already dehydrated. So whether you feel thirsty or not, you must drink. The desert (Or the National Park) will cost approximately $25 Aus, for 3 days access to the desert. There’s a booth, reminiscent of the toll booth in Blazing Saddles in which everyone must pay. Tours of the rock will be limited depending on the temperature and time of day. I would recommend the Sunset and Sunrise tours to reduce the risk of fatigue. Be careful as they do have deaths every year from people who have over estimated their fitness levels and/or not taken the right precautions around water intake! One final warning in the desert… Fly’s…. Thousands of the critters, that will annoy you beyond belief, so if you have a hat with netting on it, then I would strongly recommend something! Kings Canyon: This was a fantastic place to visit, and the only way is to drive from Uluru to Kings Canyon, and that journey is about 5 hours on the sealed road. Carry lots of water with you in the car (available in the market square near Sails in the Desert). Once you leave the mobile phone coverage in Uluru, you won’t get a mobile signal. There are simply no mobile phone masts for miles, so stick to the sealed roads incase you break down as you will need to flag another motorist down and it could be hours before you see another motorist in the desert. I would recommend a 4×4 if your budget will allow as you will get to see more places of interest as many of the roads are dirt tracks/unsealed roads and you can not access them by normal car. Once in Kings Canyon itself, tours of the Canyon were cancelled when I was there due to the extreme heat, the walk is about 3-4 hours, you really are isolated, and you are about 5 hours drive to Alice Springs. They do have a Shell petrol station on site and you can count on the fuel prices being nearly twice to three times as much as anywhere else in Australia. There are basic facilities in Kings Canyon, accomomdation, great little diner, but expect lots of bugs, fly’s and insects we couldn’t identify. The people and staff who work there are some of the friendliest people we’ve come across. I hope this little taster has been useful, and would love to hear your feedback and tips on Australia.